Ruby red in color with soft aromas with flavors to match. Crushed berries and cedar on the nose are a lead into a smooth, slightly fruity medium-bodied red. Pairs well with chicken, pork, and veal. Recommendations: My first impression of this wine was that it wasn’t what I was expecting. 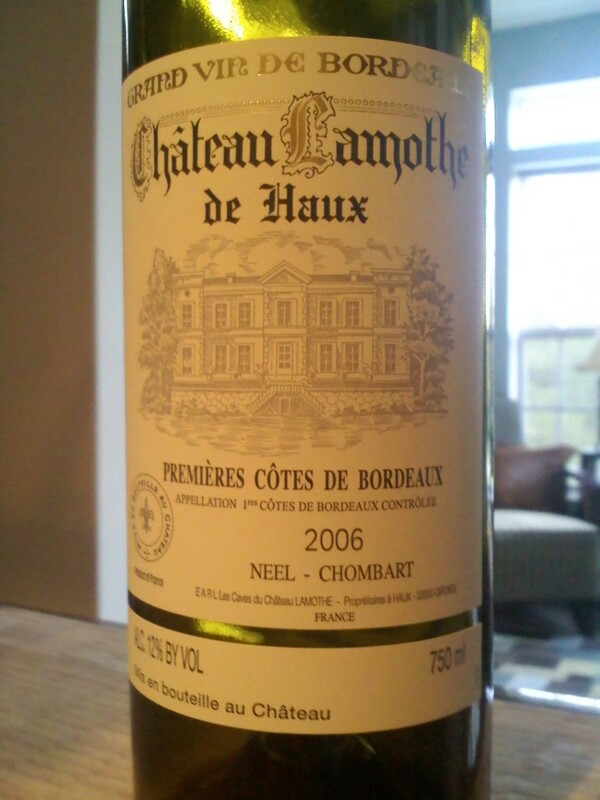 When I first got the bottle, I was excited about a bit, bold Bordeaux to pair with a steak or some pasta (which is what I did pair it with). That is not the wine I drank. Smooth and subtle is probably the best way to describe this wine, and whereas I had thought I was going to get large, full-bodied wine, instead I got a medium-bodied wine that wasn’t disappointing in and of itself, but certainly was a let-down compared to what I thought I would be drinking. Now, that being said, this is still a very good wine. However, if you’re expecting a full-bodied wine, you may want to look elsewhere, as this certainly isn’t it. Special thanks to the International Wine of the Month Club for supplying the wine for this review.